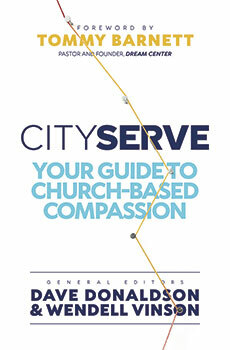 CityServe will open your eyes to the possibilities of reaching your community through compassion ministry. With advice from forty leading experts in community-based and global compassion, CityServe gives you the ministry ideas and expert advice your church needs to change lives and impact your community. "I believe the vision, models and expertise shared in CityServe will spark a fire inside to see the miracle God can do in your own neighborhood." --Edgar Sandoval Sr., CEO, World Vision U.S.
Dave Donaldson is the former national director of Operation Blessing, co-founder of Convoy of Hope, and a board member for the Courage Award Foundation, a partner of the National Football League (NFL). A veteran of Washington, DC, he served on the National Council for Substance Abuse and Mental Health Services Association (SAMHSA), and now is co-founder and chairman for CityServe International. 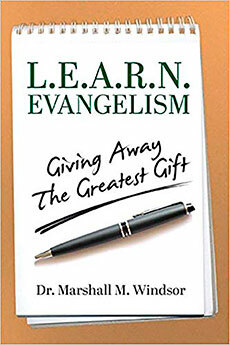 Wendell Vinson is pastor of Canyon Hills Church in California, one of the leading multisite churches in the nation, pioneering fresh approaches to church revitalization and evangelism from the “neighborhood to the nations.” He is the architect of the CityServe model in Southern California and is co-founder of CityServe International.